Naming a boat can be more difficult than naming a child. At least a child is born nameless. Built in 1920 or 22 in the Netherlands, it was used as a bunker boat at one time. No idea of its original name. 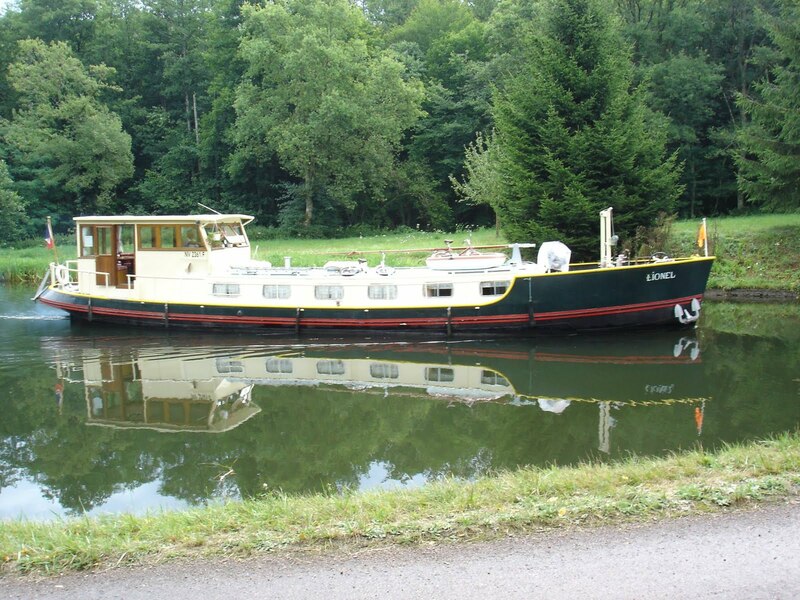 In 1982, it was purchased by Hart and Melodie Massey, a Canadian couple, through a Paris broker, Alphonse Dufresne, while it was moored at the St. Cloud marina in Paris. The previous owners, Corinne and Jean-Luc Dandurand, a French couple, called the boat Pijarro (or Pizarro) from what we can gather from a hand-written note by Massey. In Travels with Lionel, Hart Massey describes his own experience naming the barge: “We had considered the possibilities at great length, rejecting all the trickier ones, and finally settling on Lionel, the name of my brother who, we thought, would have liked the idea. It has the advantage of being the same in French and English”. So Lionel it was for the Masseys who kept the boat until November 1991. We had no history for the barge after that until July 2014 when it was owned by a French couple from Normandy, Jaky and Lili Hours, who had named it Marie-Suzanne. Noel and Jackie Parry (he from Australia and she from the UK) purchased the barge from them in 2014 and kept it for 2 years. They named it Rouge Corsair after a favorite horse. As we were debating the merits of various names, someone miraculously came to the rescue. 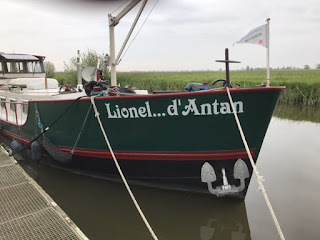 This email, plus some old blog posts and pictures sent very kindly by Danielle Foglia (we learned that she had hand-painted the name — see below) convinced me that Lionel had to be at least part of the name, since it had been the boat’s name for a total of 25 years! The name we finally agreed on, and which now features prominently and proudly on the bow and stern of our barge is Lionel d’Antan, which means Lionel of Yesteryear. There are a lot more references to this refrain in English and other languages, from Cervantes to Tennessee Williams’ The Glass Menagerie, from Jack Kerouac to Umberto Ecco, from Quentin Tarantino’s film Inglorious Basterds, to Mad Men, and Downton Abbey. Poetry survives, even in translation. And so does our boat, who managed to let us know what name it wanted. Thanks for the references to Villon - I noted one comment that the entire poem was almost untranslatable, so much was the personality of Villion embedded in the use of language. The only line with a clear translation to English was the one you quote. Cool! I was wondering about the addition to Lionel's name. 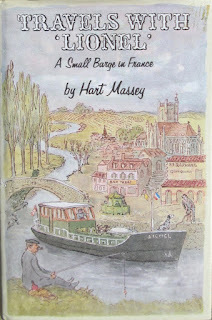 Wonderful to have such a link back to the early days of recreational barging. Do you have both of Massey's books? And in passing, we had looked closely (by Internet) at Marie-Suzzane in 2013 when we were looking for our barge. Lovely vessel. Doing some winter reading I see. Yes, we were able to obtain both books. 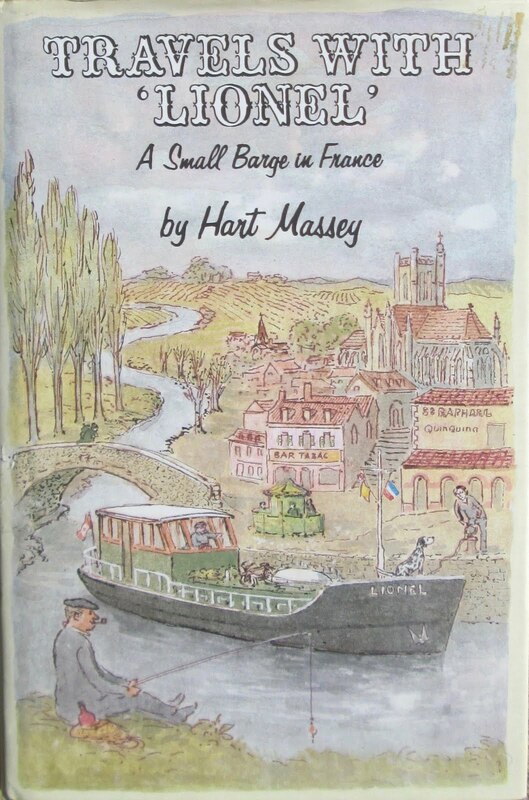 It is nice to re-read after as season on the boat. There is still a lot of Massey on this barge. His wife died just a year or two ago and we actually contacted their son to see if he might have other info or pictures from their time on the water. Nothing yet.